Character and curb appeal to call your own. This beautiful, center stage kitchen is priced with soft close doors/drawers, crown molding, stacked glass mullion dÃ©cor cabinets, Large walk-in pantry, and raised bar top. Oversize, direct vent fireplace with stone all the way to the 10' ceiling. The master bedroom offers 9' ceilings plus tray ceiling to 10', a large master closet with closet system allowance, dual raised vanities, and private water closet. Like you have seen on the home shows, no more toting laundry across the house - the laundry room is conveniently accessed from both the hallway and master closet. The guest bath provides an over-size tub/shower and 60â raised vanity. Enjoy entertaining and relaxing on your 10' x 18' rear covered porch. As if the beautiful kitchen were not enough, this home comes standard with a 4-Car, finished, and insulated Garage with utility sink and rear service door. 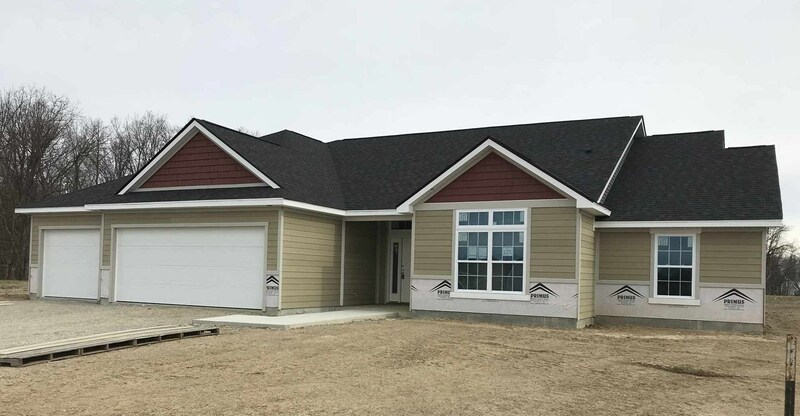 This home features a Bryant High Efficiency Furnace with whole house humidifier, 50 gallon water heater, landscape package with grade/seed/straw, and several allowances for you to customize this beautiful home.